Regular professional cleaning and dental exams are essential to preventing gum disease, tooth decay, and screening for oral cancer. Even the most diligent daily oral health care regimen needs regular deep cleaning and dental checkups, which include screening for oral cancer. For most patients, dentists recommend a professional dental cleaning and exam every six months. In some cases more, or less, frequent visits may be required based on a patient’s dental or overall health. Our oral health is closely related to our overall health so it is important to communicate with your dentist any health changes or concerns you are having. At your dental exam, talk with your dentist about any changes you’ve noticed with your teeth, gums, or in your mouth since your last visit. 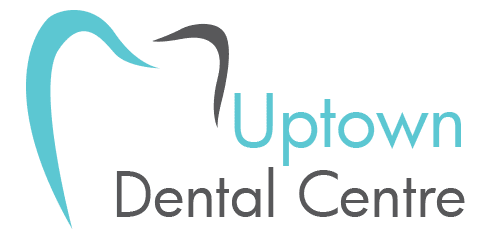 The earlier your dental team at Uptown Dental Centre knows about pain, sensitivity, or bleeding gums, the earlier we can diagnose and treat it. A typical dental exam is usually preceded by a professional cleaning, polishing and fluoride treatment by one of our dental hygienists. Once cleaning is complete, your dentist will usually perform a complete visual examination of your gums, teeth, and the inside of your mouth. We may periodically suggest x-rays as a tool to see tissue and structures between the teeth, where a visual check alone cannot detect decay or disease. X-rays can also give your dentist a look at the integrity of any crowns, fillings and previous dental work to ensure they remain in good repair. 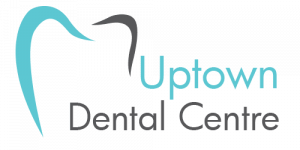 Book your next dental exam at Uptown Dental Centre in Edmonton. All dental services provided by a general dentist.